I was contacted by W communications, who's a PR agency for Bang & Olufsen. 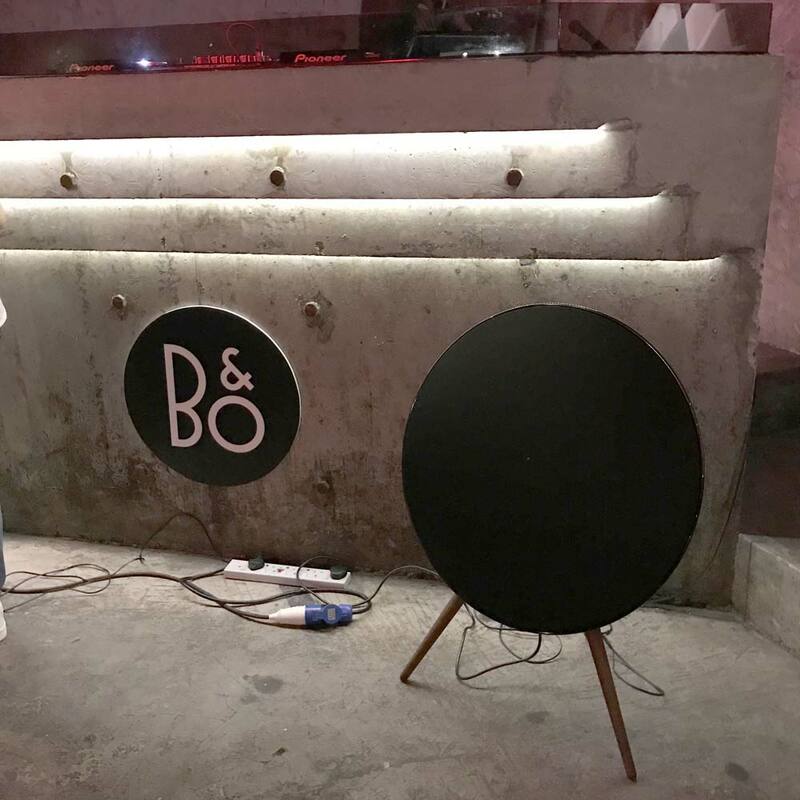 B&O launched a new earphone called the 'Earset' and W helped to host a media party to invite influencers to experience the new Earset. B&O Earset comes with state-of-the-art wireless audio technology, world-class Bang & Olufsen Signature Sound and a fresh look for the next generation, while preserving the flexible design aspects that led to the success of the original. 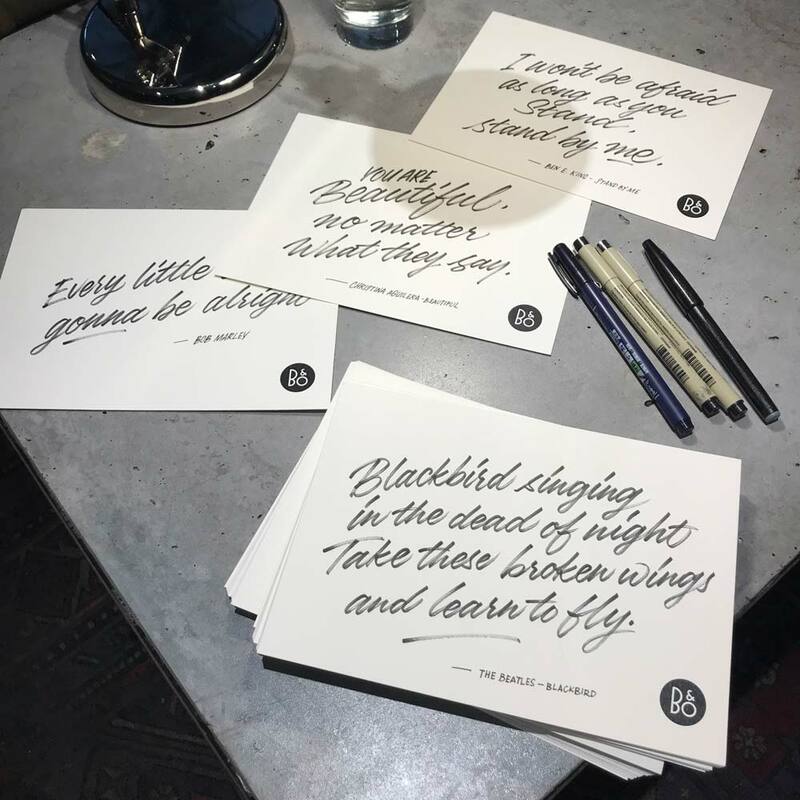 I was invited to be on-site to hand write lyrics or favourite quotes for the media influencers. So I arrived at the location and proceed to set up. As the guests arrived, people start noticing the hand written cards and I immediately got a lot of requests. For this project, W asked if I could help source my own card. I got all excited because I get to pick my own paper. I liked the subtle texture that this paper has to offer, so finally I picked the Gmund White #07 300gsm card stock. Here's the process of printing the brand. It was a fun and fruitful night, I've met so many cool influencers in Singapore and eventually I learn what kind of music they listen to. Thanks for reading! If you have any projects like this, feel free to get in touch with me. I'd love to chat with you!